Crowded on the back deck, we all peered keenly into the turbid water. As one of the lures came up, we finally saw the pearly white tentacles we had been waiting for. A tiny squid was wriggling around next to the hooks, not quite caught but tantalisingly close. The back deck erupted with shouts and cheers of encouragement for those fishing. In the heat of the moment, all 4 lines were enthusiastically thrown in the direction of this one tiny creature. Disaster struck as the lines entangled and had to be removed from the water while they were separated. The squid took his chance and retreated, quickly vanishing into the murk. 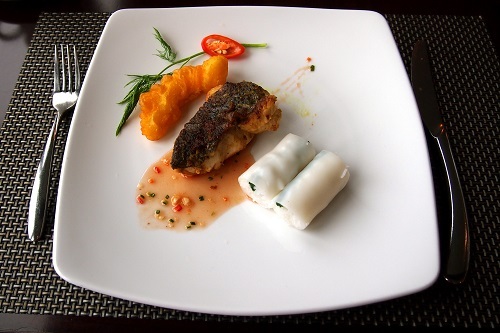 Squid fishing was just one of many activities included in our action-packed Halong Bay cruise. We quizzed the staff about how many squid we could expect to catch. “Normally one per night”, came the confident answer. Sure enough, after most of us had given up for the night, we heard a raucous cheer of success as that one squid was caught. The catch was quickly whisked away by the staff. We assume it was added to the squid tempura served for lunch the following day. 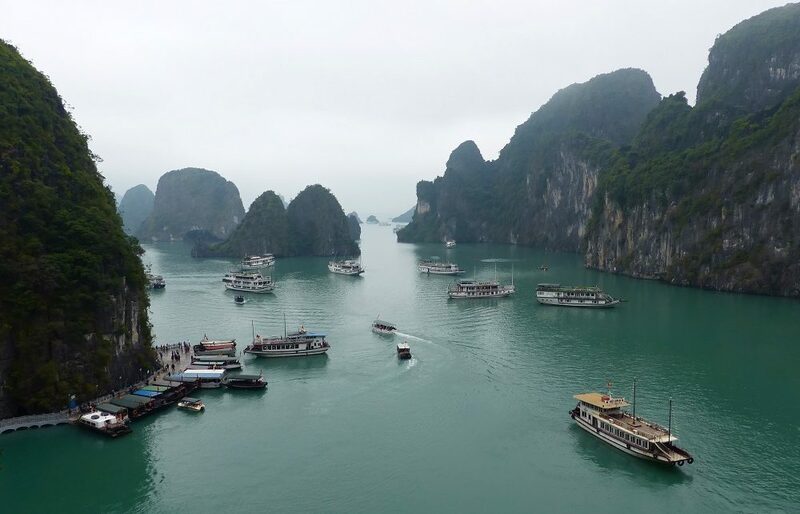 The origin of Halong Bay is surrounded by legend. 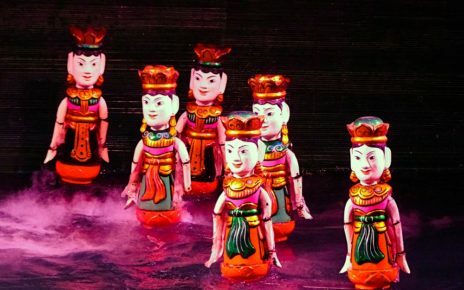 During a fierce battle, a family of celestial dragons came to the assistance of the Vietnamese troops, ensuring their victory. The dragons spat out jewels that became the 1600+ islands of Halong Bay (literally Descending Dragon Bay). 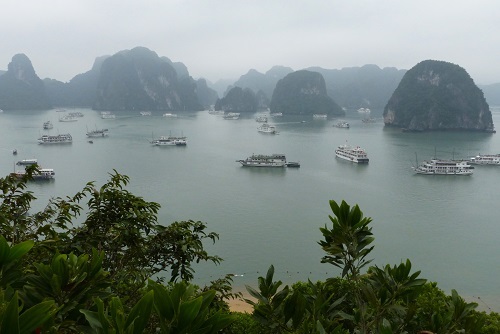 After the battle, the dragons decided to remain on Earth and the mother dragon now resides in Halong Bay. Needless to say, we did not encounter any dragons on this trip. Halong Bay is famous for the rugged limestone karsts that erupt from the sea. The vertical cliffs are topped with lush green vegetation and we saw numerous black kites soaring overhead. The islands are best known for their dramatic scenery, picturesque beaches and numerous caves. 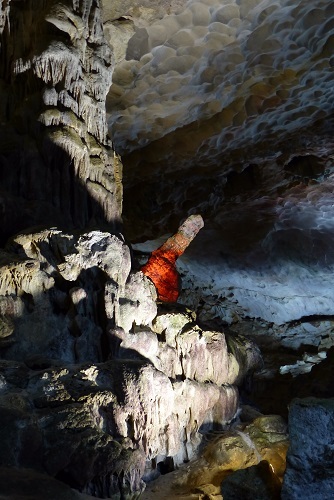 Sung Sot Cave is one of the more popular, a series of 3 caverns each considerably larger and more impressive than the last. Hang Sung Sot directly translates as Surprise Cave. We wondered where the name came from and were told “It's a surprise. 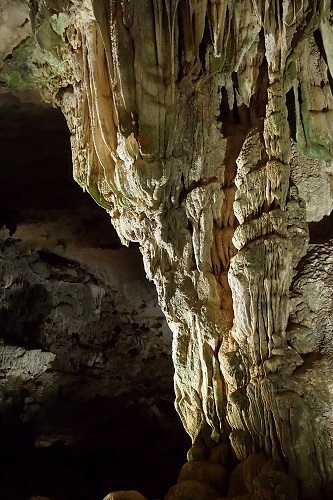 You will find out when you enter the cave.” Inside, the caves were packed full of stalactites and columns. Many of the features have been named and with a bit of imagination we saw multiple Buddhas, dragons and elephants in the ancient formations. These limestone features have been formed by years of rainwater filtering down through the caves. The pitted sandstone ceiling however has been eroded by the sea and looks so out of place we initially thought it had been plastered over. We entered the third and final cavern and spotted one rocky outcrop that was glowing red. When everything else was gently lit with white light, the eerie red glow really made this particular feature stand out. We were convinced we'd figured out what the surprise was. Well, not quite. We later heard that it was the unexpected magnificence of the cave that surprised the French men who discovered it. Or perhaps that's just the more socially acceptable version of the story! Halong Bay is also well known for cultured Akoya pearls. 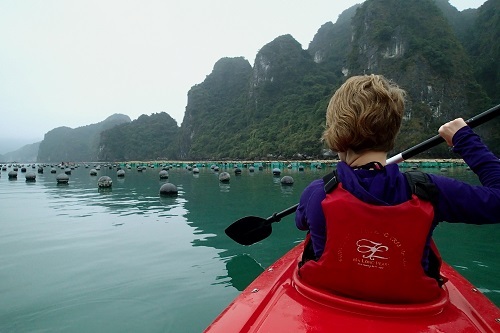 Kayaking around a pearl farm, we were able to get a close up look at the production process. We paddled along the countless rows of black buoys marking the oyster nets suspended below. A bead is inserted into each oyster to encourage pearl growth and left for 2-3 years before being harvested. With a success rate as low as 40%, not all of which are suitable for jewellery, the hefty price tag of the pearls is understandable. We paddled closer to the islands in our usual haphazard fashion, unable to travel in a straight line for more than a few metres. Thankfully we narrowly avoided scraping across the shallow coral reefs at the base of the cliffs. We did however get close enough to see the urchins and anemones that thrive among the coral. 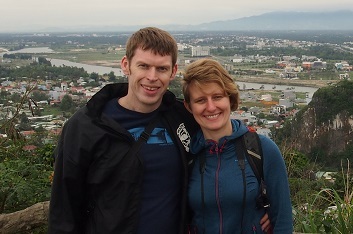 Hordes of tourists descend on Halong Bay every day for a whistle stop tour of the highlights. As one of the New 7 Wonders of Nature, it's easy to see why the area is so popular. While the tourism is carefully managed, the crowds can sometimes get a bit overwhelming. We noticed this most on Ti Top Island where the throng at the viewpoint was three people deep. For the most part however, Halong Bay is large enough that it doesn't feel overcrowded and we were able to relax and enjoy it. 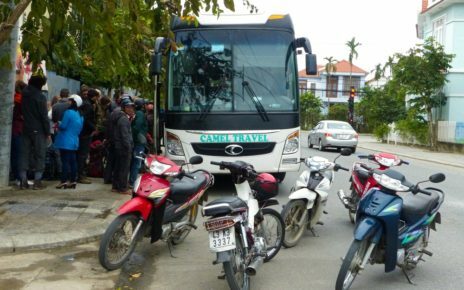 Most cruise operators offer transfers from Hanoi. This long, tiring bus journey takes several hours and requires a very early start. You may find it less exhausting to stay near Halong Bay for a night before your cruise. Most overnight Halong Bay cruises depart from Tuan Chau Island. The island is developing fast and there are a number of hotels near the harbour. If you stay in nearby Bai Chay before your cruise, there is no public transport to the harbour. You will need to take a taxi. Your accommodation should be able to arrange a taxi from Bai Chay for around 150,000 VND. This is a competitive price and you may find that a metered taxi costs more. 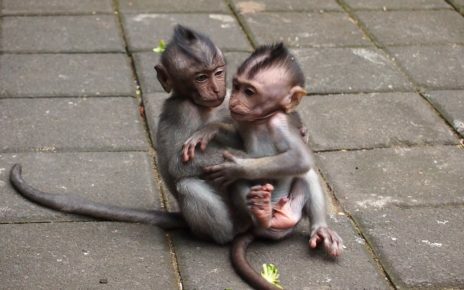 The green Mai Linh metered taxis generally offer the best price. It's worth noting that larger vehicles cost more so avoid the 7-seater people carriers unless you really need the extra space.